Your only hope is to whistle it to follow them run away. Sometimes they pop out. I don’t think your going to get a GM to help sorry. Never mind lol. No idea where the slave thing comes from. You can become a settler on some ones island. Lots of company’s are looking for people. Or you can join a crew that will let you do your own thing. Sorry I didn’t realize you could see every ones tax rate on the map. Thank you for that information. I’m curious what other people are taxing there islands. 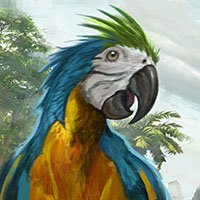 Does having settlers not decrease your island upkeep? We recently decreased our tax rate and shortly after a group of 2 showed up asking for permission to build some thing small. We agreed so they set up a small farm base with a taming pin ect. We are getting resources but our island upkeep is the same. No you still need gold, the points just limit you on how many islands you can claim. Link discord for island notifications? So I see in the patch notes we get notifications now when some one settles on our island. Is there a way to get those sent to a discord or some thing when we’re offline? Any Idea when the New Test Server will roll out? I agree. Put in on a PTR and let us break it. I don’t like the idea of not being able to build cannon towers to defend our harbor. That’s what I do most days is build and maintain our defenses. But they had to make a change. If not this game was not going to last. I love every thing about the patch except the idea of not being able to defend. But I don’t see a way they can change it. If they make it so any one can build defenses then any attacking clan can come ashore and start dropping mortars. Maybe make it so alliance members can build defenses? Stop and look at the server numbers over the last month. They had to do some thing. Most people must not like the system the way it is. A lot of people missed it. If your like the guys in my clan they didn’t catch it live so they skipped over the PvE trench stuff and started watching around the 30min mark. If you missed it fast forward to the 20min mark in the stream.